I think Grisham is having fun again. 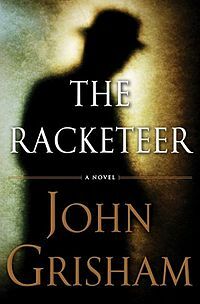 The Racketeer is the very imaginative story of a black lawyer, Malcolm Bannister, who has been wrongly convicted on a racketeering charge. After Bannister has been in a federal prison for 5 years one Judge Raymond Fawcett is suddenly found murdered at his home in the country. Bannister has been waiting for this very day. In a very tightly plotted thriller Grisham takes us through the criminal justice system from local drug enforcement agency, the FBI, the judicial system and the Jamaican system of justice. It starts when Bannister goes to his warden to tell him he knows who killed the judge and wants to make a deal using Rule 35 which states that a convict can be given leniency if he assists in the investigation of another crime. It’s a riveting, page-turning, ear-burning reason to burn the midnight oil.